With the 7-speed manual C7 Z06s already terrorizing the streets and racetracks around the world, we’re now starting to see the long-awaited 8-speed automatic model fall into the hands of customers and shops alike – and they’re fast. The Z06 in the video is a great example of how fast these 8-speed models really are. With drag radials in the rear and skinnies up front, wheels and tires are the only modification this Z06 has. After the short burnout to heat up the tires a bit, the driver pulls up to the line, gets his revs up, and launches. However, the launch wasn’t as brutal as we expected and that’s due to the factory torque converter softening the launch. After the launch, though, the car just took off down the track and managed to achieve a 10.38-second quarter-mile at 131 mph. That’s dangerously quick for a stock car under $100k. 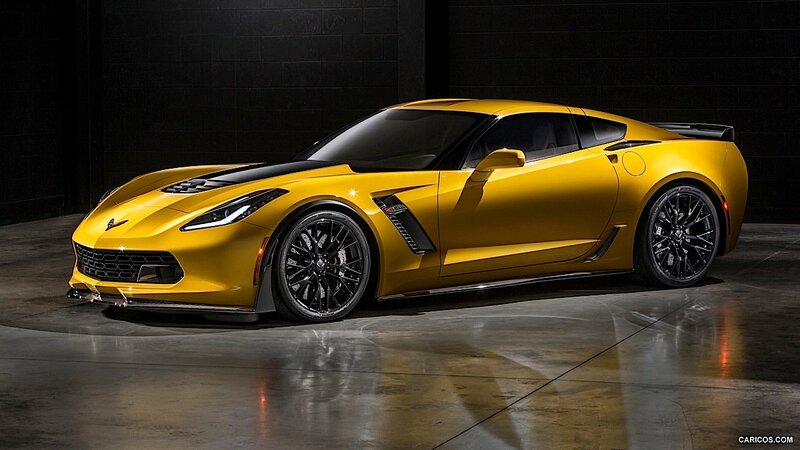 Keep in mind that the car does have the optional Z07 package, so there is more downforce than on a standard Z06. We think without all of the extra downforce and drag that the car would be able to really push it into the low 10’s – maybe even into the high 9’s with an upgraded torque converter to help the 60-foot time. Another detail we forgot to mention is the fact that this car only had 37 miles on the odometer at the time of this run. That’s not even completely broken in yet! Who knows, maybe when this car has more miles on the odometer it will pick up a tenth? We can only wait and see at the moment.